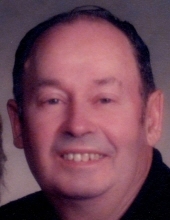 Charles Schulz, 88, of Athens passed away unexpectedly on Monday, February 4, 2019 at Aspirus Wausau Hospital. He was born on May 14, 1930 in the town of Rib Falls to the late Franklin and Irene (Ziebell) Schulz and was one of 3 children. On November 30, 1969 Chuck married his beloved wife Virginia Cichon. Chuck is survived by his wife Virginia of 49 years. Children Cheryl (Roger)Hubing of Hastings, MN, Lon (Suzanne) Schulz of Wausau , grandchildren Jason Hubing, Sara Hubing, Lynn Biskup and great grandchildren Dylan Hull and Olivia Biskup. Chuck graduated from Marathon High School. After high school he spent time in Chicago, IL where his aunt had a glass factory. He traveled the country and worked with his buddies and especially loved the west as a young adult. He settled in Rib Falls and started working at Marathon Electric in 1953 and retired in 1992 at the age of 62. Chuck had a gentle spirit and a friendly smile. He enjoyed traveling, and loved the outdoors where he grew vegetables in his garden or fished in nearby lakes. He liked watching the various birds at his feeders and looked forward to the first Robin in spring. Photography and taking pictures was a large part of who he was. He loved technology and working on his computer and also showing friends and family his pictures. He loved his cat and companion Chuck Norris. Funeral Services will be held on Friday, February 15, 2019 at John J. Buettgen Funeral Home 948 Grand Avenue, Schofield. Visitation will be from 10:30 – 12:30 with service to follow with Pastor Phil Larson officiating. Burial will take place later in spring. To send flowers or a remembrance gift to the family of Charles Schulz, please visit our Tribute Store. "Email Address" would like to share the life celebration of Charles Schulz. Click on the "link" to go to share a favorite memory or leave a condolence message for the family.